I’ve gotten into the habit of displaying things on string, attached with little wooden pegs – the kind my mother used to hang the clothes to the drying line with when we were kids. 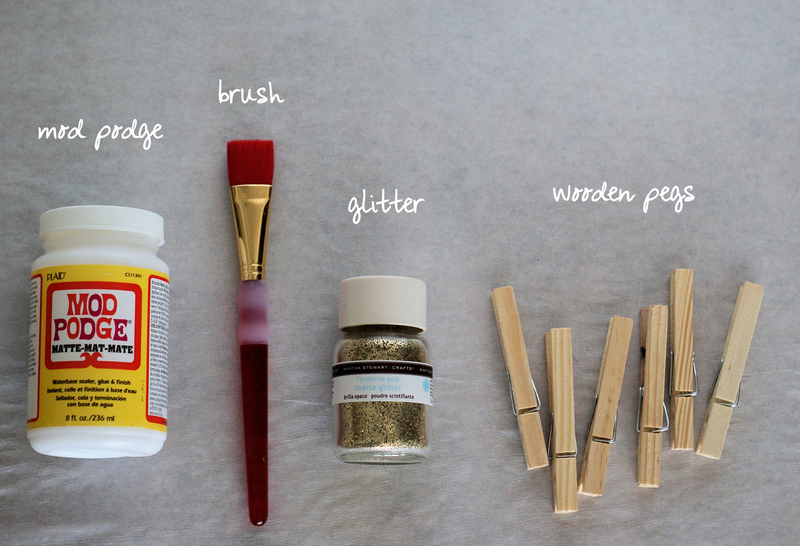 It’s no secret that I love glitter, that being so, I added little sparkle to the wooden pegs. ← style a guy: shoes. Love this idea! From far away you just see sparkle and can’t tell what’s pinning the items up. Def catches the eye. Anything with glitter makes me happy. Anything with glitter that I can actually do myself makes me ecstatic! What about all the glitter that tends to stick around for the next 2 years……. That’s why I am hesitant to use glitter! I do love this idea though. my friends joke that anywhere i am, glitter is. i love it, so i live with the ‘everything covered in glitter’ consequences. I can really connect with these: a row of pegs on a line and glitter. Simply wonderful. Quite creative yet simple. I like the general idea of the sting holding your meaningful papers and photos. It is very cute! sparkly is my favorite color! very cute! 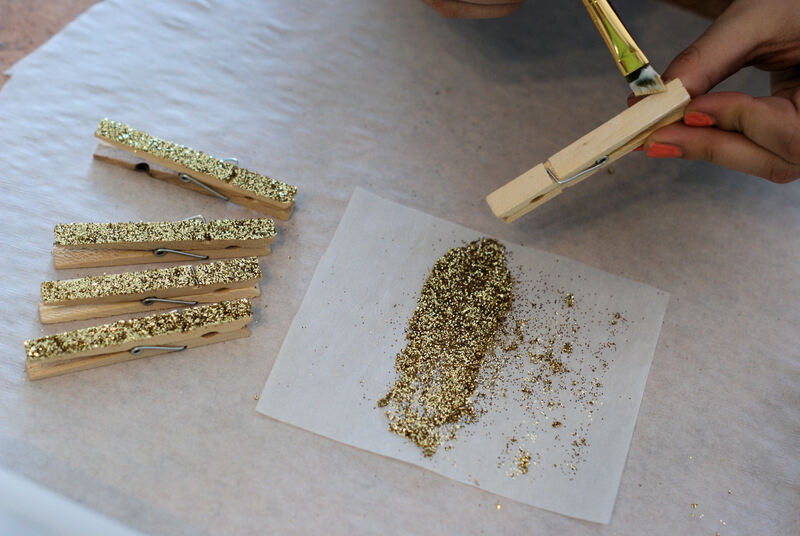 Also I love the glittery pegs in question…what a great idea! Fantastic – we’ve just been gifted my dear old Gran’s wooden pegs… guess what we’ll be doing this weekend? I’ll probably do a post on it, crediting you Guys and linking back at some point! Loving anything DIY vibe…breathing new life into old things! These look great, particularly against that dark wall but with so much over at TheBigForest I think Im just going to have to admire rather than make unfortunately! Nicely done, friends! 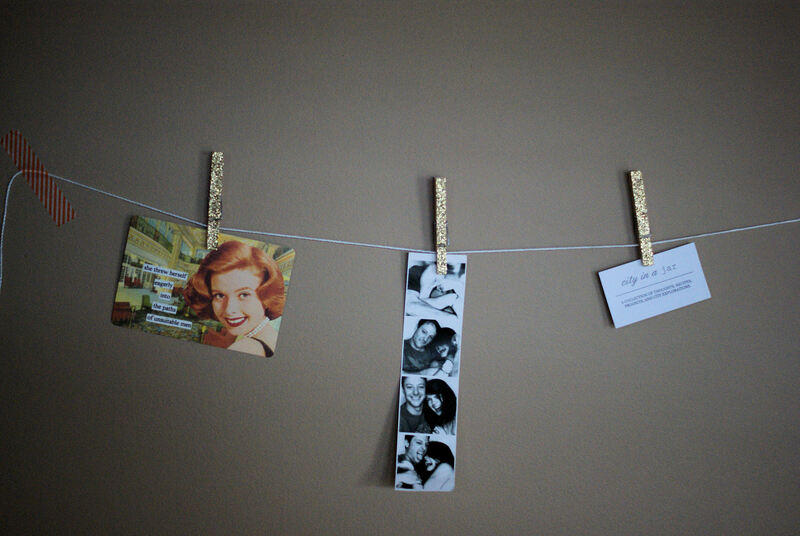 This is one of my favourite ways to toss together a quick “mood wash line” of clippings, pictures, fabric, cards. I use all different sizes and colours of pegs, and different sorts of string, twine, and yarn to keep it crazy. I’m a well-hard lifetime 57 year-old biker…. I stumbled on here by accident…. honest, I did. Please don’t tell my mates that I like things that glitter….. or that I’m gonna get some pegs tomorrow…. If bikers didn’t like things that glitter and shine, the folks who do chroming would be out of a job. Just saying. What a fun idea! I love the look of it! Thanks for the DIY! Very Cool idea, Can’t wait to try it! Nice, so simple, and sparkly. But what I love most of all is the little card with the name of your blog and tag line! That is a super idea. No need to apologize! We put the ideas out there to hopefully inspire others. Glad it did. You had me at Glitter! I really love the end result though – and so simple! A new holiday card display solution! I love these 🙂 Great idea! I am doing the exact same thing. Was going to go plain but the glitter will work in very well with the space theme we have going on. these are so cute and simple to make! i can totally use these…gonna do it!!!! great post! Hmm… How inspirational! 🙂 Thanks for sharing. Martha Stewart Glitter is the best! Love the glitter pegs! great idea ill def be trying this soon! 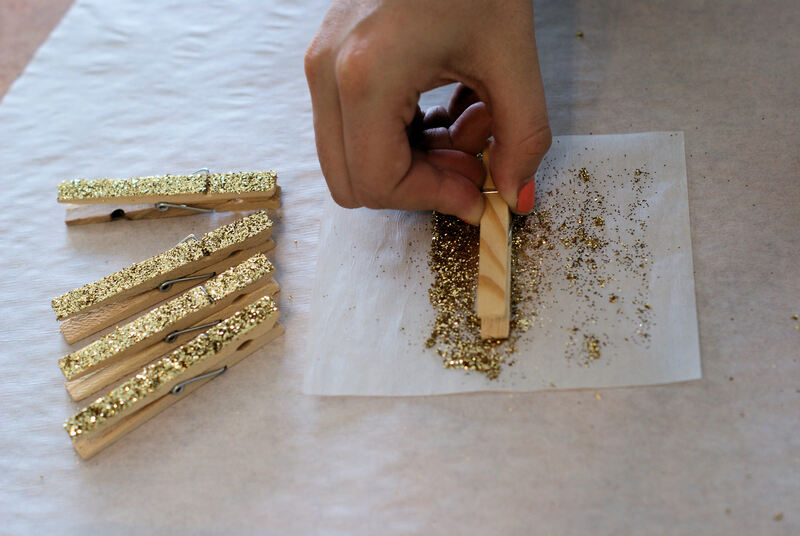 A really cool way to keep glitter scattered all about your house. Oh, and those are really neat clips too. such a lovely, simple, useful, pretty idea! “Love” sparkle! Can’t wait to create! so cute! Also how did you make the jars up top with the social buttons?> Is that a widget? I actually designed the jars at the top myself, then coded them to fit into the theme. lovely idea and everyone can do this 🙂 do you mount the ends or just tape it? This is so easy and very versatile! Thanks! 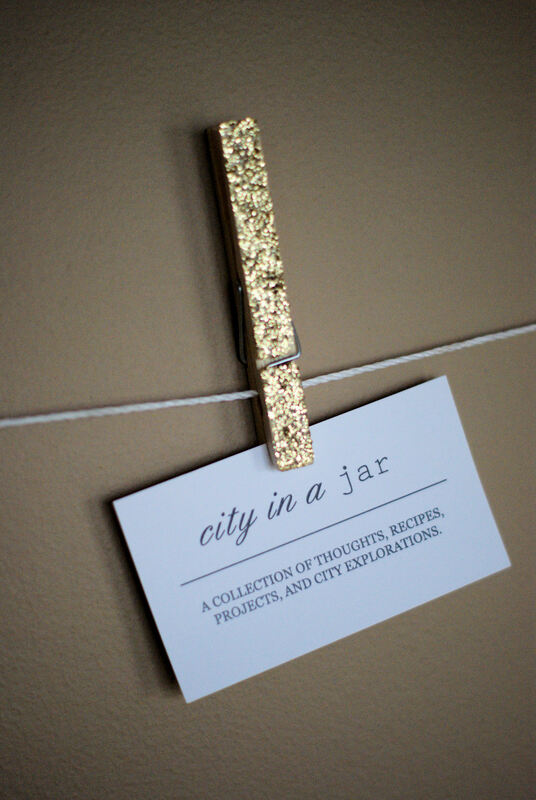 Here are one of the easy and very versatile crafts you could do, thanks to City In A Jar. I admire your skill so much. Thanks for sharing. So simple and yet very creative and effective – love it. Neat idea! I also have a wire strung up in my dining room (of all places) for hanging things. It started with my son’s childhood artwork, but now that he’s older, I hang birthday cards, occasional recipes, decorating ideas that I like, etc. I’m glad to find a kindred spirit! Fantastic idea! My daughter’s will love this! 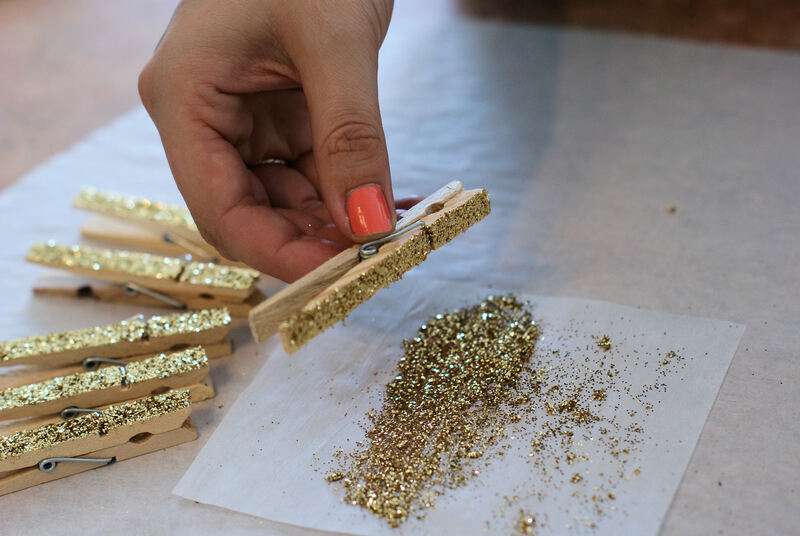 I have a slight obsession with pegs, too–love the idea of adding the pop of glitz! What a great DIY project! So simple, yet fun and decorative. If you love DIY projects, check out this one that we came up with. We might not be stringing photos, but CDs are just as fun to display on strings! This looks super satisfying, and the result looks fantastic. I’d like to get hold of some of that modge podge stuff! In all honesty, a white glue will probably work just as well. It just needs to be sticky and dry clear! Yes, any white glue (elmer’s for ex), will work, and if it’s too thick, just mix in a little water to thin it out. This is an excellent substitute, and less expensive too. Fun! And it fits right in my budget too! I made one of these for my daughter while she was away on a cruise. so simple, yet so adorable! 😀 thank you! I love this!! What a great and adorable idea! I must show my daughter your post! She’s constantly hanging things on strings in her room. It looks so cool! Very nice! I always display my daughter’s artwork on a string in our kitchen. We’ll have to decorate the pegs now! Sometimes, it is the most simple things that bring us the greatest pleasure. Thank you for showing me today yet another way to enjoy my life. A “glitter peg” is exactly what I needed to find. Now, I have a project to set out on. Great blogging! Super cute 🙂 Might try this with my nephew! Wouldn’t white glue work as well as Mod Podge? I’m curious why you specifically used it? I just had an excess of modpodge and no glue around. Glue would work just as well. This is the perfect DYI craft project for me and my daughter. She loves glitter, hopefully it won’t be too messy of a cleanup and my washer can take it. CUTE! I would totally use these to hang washing out. Neighbours would be so jealous! Oh yeahh!! So very simple, yet so striking! I’m using this in my scrapbook room (still in planning stages). I shall use this in my room, but I might try doing little doodles on them too. i love the idea of drawing on the pegs. so many possibilites! I love this idea! I’m inspired to do a mix of glitter pegs and cavier bead pegs now! Thanks for this fantastic post! Very simple way to jazz up clothes pins! Fabulous. Aww this is just toooo cute! Amazing 😉 I should try this . I have an obsession with glitter, so thanks for the tip!!! Great tip. Congratulations on being freshly pressed – great otherwise I would not be sorting out photos to pin up with my glitter pegs 🙂 What would substitute modge podge? – not sure I can get it here. Is any craft clue good enough or is that one special? The mod podge just dries a little harder, but any glue that dries hard and clear will work! Have fun crafting. OK – I will give it a go – thank you!! what a fun way to add some sparkle to an everyday object!! thanks for the ideas!! Glitter! Can’t wait to share this with the teachers at my school! This is a fabulous idea, I enjoy crafty days doing things like this – I will have to post some pictures of some of my projects to show you and share ideas! Who’s that guy in the photo booth pictures? Some handsome guy I know. A real catch. Great idea…I shall shamelessly ‘nick’ said idea for Messy Church…the kids LOVE making messes with glue and glitter. Thanks for the idea. What a great way to add a little bling to your life, thanks! great idea…i have done a similar one using old vintage sheet music. i will diy it in the next week or so. love the site. 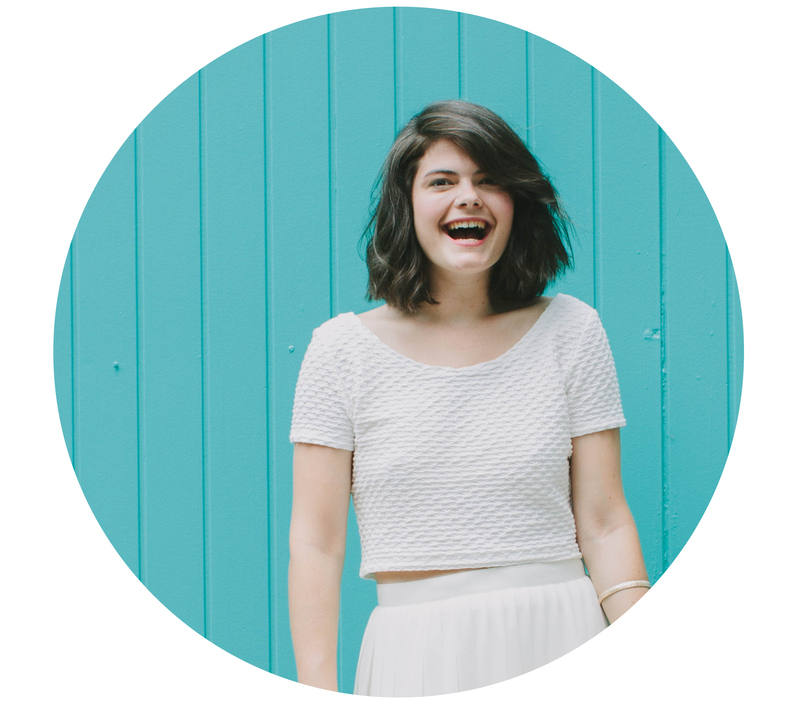 So glad to find your cool blog on Freshly Pressed! Lovely! This is a cool idea, something to keep the kiddo’s entertained and engaged. So cute and clever 🙂 I love wooden pegs. My latest use for them is to peg a muslin/blanket to my baby’s pram, as she loves putting her feet up on the cross bar so I can’t tuck anything in! She does look cute kicking back, tho, it’s a bit like her pram strut, methinks. I have some glitter already, and think this is perfect to glamourise the pram! I’ll definitely link back when I do. Thanks! I LOVE this…….your blog is fab. I did say my blog contained lots of things I found to share and this is a beauty. Now i want to dip everything in glitter! I know this is completely off topic but that last photo looks very professional. How difficult is it to get photos to look that good? Really cute. A simple thing turned into an eye candy. I love glitter! These look super easy to make, too. Ooh yeah, I am starting to become a huge addict of the DIY way of life. I’m working on three upcycle projects. Useing old stuff that people don’t care to have and transforming it into a different functional and functional object is a great way to recycle, creatively. Think old suitcases turning into tables, that kind of thing! lovely idea! Check out my blogg at malinpersson.me I do some DIY to!! So pretty! These would look so pretty hanging up all of our Christmas cards! Wow i love this idea 🙂 beautiful. this is so creative. I love how this is such an inexpensive way to add decoration to a room. Very good idea! Love it!! Kinda thing that stares you in the face, but you never think of doing!! Thanks for posting! I love glitter. This is such a great idea! C’est une très belle idée et très lumineuse aussi! Like the desire of creativity! Great idea! I’m going to try it next Christmas. Fab idea .Simple yet very effective. Thanks for sharing.